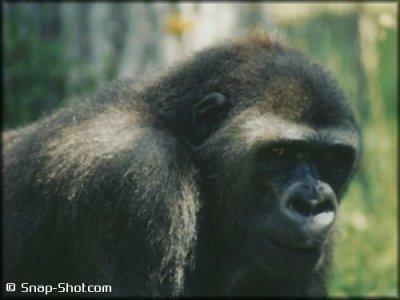 A correspondent asks me whether any human clubs are open to gorillas. A surprising number of them are, in my experience. A few of them, in fact, were quite eager to enrol me once they got over the initial shock. I very nearly joined the Communist Party. It all started when I read one of their pamphlets, which said that workers were being short-changed by greedy capitalists living off the fat of the land. As a hard-working circus ape, I thought I’d go along to their next branch meeting for some tips on how to get a pay rise. When I arrived at the mostly-empty hall, I found a gang of humans who were as sullen and sinister as the crocodiles of the Congo. They turned in my direction as I entered, glaring at me in suspicious silence. How everyone applauded! His potted biography was not entirely accurate, but I wasn’t going to risk the goodwill of the assembly by quibbling about minor historical details. I basked in the adulation of the moment and declared that a broad popular front of workers and apes would terrify the powers-that-be. At the end of the meeting, the chair proposed a motion making me a provisional party member – and it was carried unanimously! 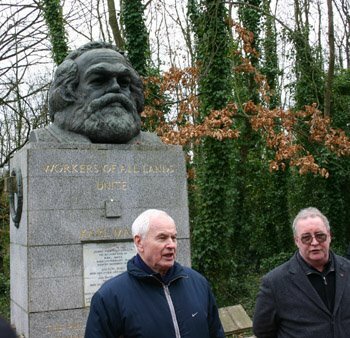 Before getting my party card, I had to take some lessons in Marxist theory from my assigned mentor. This fellow, called Bert, had a scruffy beard and spoke with a northern accent. He seemed to have a lot of time on his hands, because he’d turn up at the circus almost every day and invite himself to lunch with the performers. He spoke a lot about coal miners, benefit cuts and the evils of international capital. When we were doing a show, he got a free seat as my guest and stayed for supper. But after a couple of weeks of indoctrination, I was still none the wiser on how to get more money. It’s all very well learning about class struggle, but what purpose does it serve if you’re no richer at the end? After being entertained generously at our expense, I felt it was about time that Bert came up with some practical suggestions – and after a particularly boring lesson on dialectical materialism, I told him so. He stormed off in a huff, and his departure marked the end of my brief association with the Communist Party. Morning GB! Nice to read the posts you've written while I was away. There was a cute commie chick at my uni. I always thought it was such a waste that she gave all that passion and energy to a lost cause. She reminded me of a nun, in a way, but that may just be sour grapes on my part. "Our" shindigs, don't you mean, Ivan? In my experience, Africans (human or otherwise) are not natural socialists. Too much rhythm and sense of fun. It's well known that Karl Marx was part gorilla. His grandmother had an affair with one at Trier zoo. It takes more than a beard and a German accent to make you part gorilla, Aunty. Marx clearly lacked our ability to socilise and get on with all types of human. There's only one thing Communists are generally right about--who will end up on their enemies' list. It's a trivial prediction, but lethal nonetheless. Good thing you kicked out the fewllow before it was too late. Many a Western humanities professor could stand to learn form a clear-headed gorilla like you, GB. The statue in that photo looks like Kelsey Grammer in X men 3! My brief exeriences with communists happened at university in Glasgow where they had some stiff competition for the far left position in the firely red Scottish Socialist Party. I learnt that joking of any sort was rowned upon, with any sort of humour at all being viewed suspiciously as some sort of a bourgois luxury or affectation. I also learned that young male communists must not eat, sleep or shave very much in order to remain thin, pale and retain the air of being too busy for such trivial worldly cares as personal grooming (although not quite ready yet to squeeze out the full beard they covet). They must also peer and sulk a lot, as if they've seen the dark soul of humanity and nobody will believe him about just how dark and awful we all truly are. Conversely, the young female communists must be larger than their less extreme sistren, but also as ill-shaven. I think the young communist men like them that way. Why things should be this way, I have no idea. I knew perfectly reasonable non-communist skinny men and large women at the time too, but there is no denying how young Glasgow communists broke down along these gender and appearance lines in the mid 90s. Sam? That's a long way from home. It's funny how communists change appearance when they get into power. I think Desargues lived in a communist country, so he'll be able to confirm this. They are, indeed, petty bourgeois at heart. Once they find themselves safely ensconced in the armchairs of political power, they get over their former inhibitions. Mid-level party apparatchiks start inquiring after French soap for their mistresses, and North Korean thugs develop a fondness for Courvoisier VSOP. There's only one thing they can't bring themselves to get rid of: the ridiculous haircuts. If frowning upon humour is a sign of latent Communism, what does that make America's liberal bien-pensants?